This is an assessment of how well the hospital works in accordance with standards prepared by healthcare professionals and is evaluated independently: an ongoing process which ensures the delivery of safe, effective, and high quality healthcare. Since its foundation in 2003, FVH has embraced the highest international standards of healthcare and has sought accreditation from one of the most respected healthcare authorities in the world: the French Haute Autorité de Santé (HAS). Accreditation is distinct from certification, which is not a prerequisite for accreditation: certification (like ISO), differs in its mechanisms and field of application. The FVH Quality team has been working since the end of 2005 with HAS experts. Click here to read more about our HAS accreditation. Firstly, because we have an ongoing commitment to be better at what we do and to do it more efficiently. Secondly, it is to ensure legal compliance. Public recognition of the accreditation by such a respected organisation as HAS provides a further independent measure to reassure patients who place their trust in FVH. Simply put, accreditation is all about standards. The establishment and management of the following procedures and programmes require the complete involvement, commitment and understanding of FVH staff, under the supervision of the Quality Assurance Department. Management support – the knowledge, experience and involvement of management at every level of hospital operations. 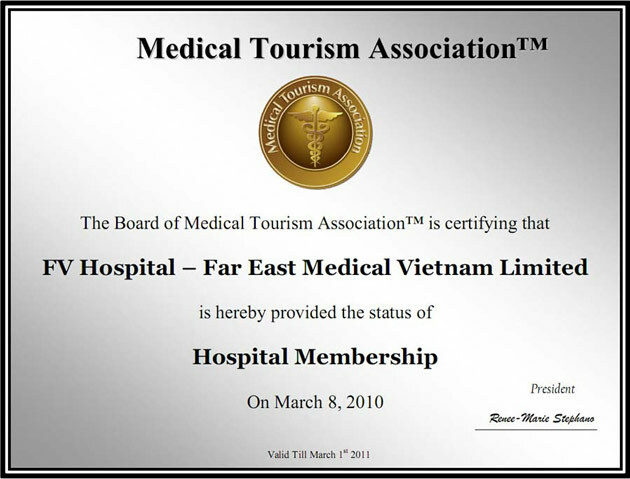 In essence, accreditation acknowledges an unceasing commitment by FVH to improve its organisation and practices to achieve the highest quality and safety in healthcare services with the ultimate goal of achieving complete patient satisfaction.